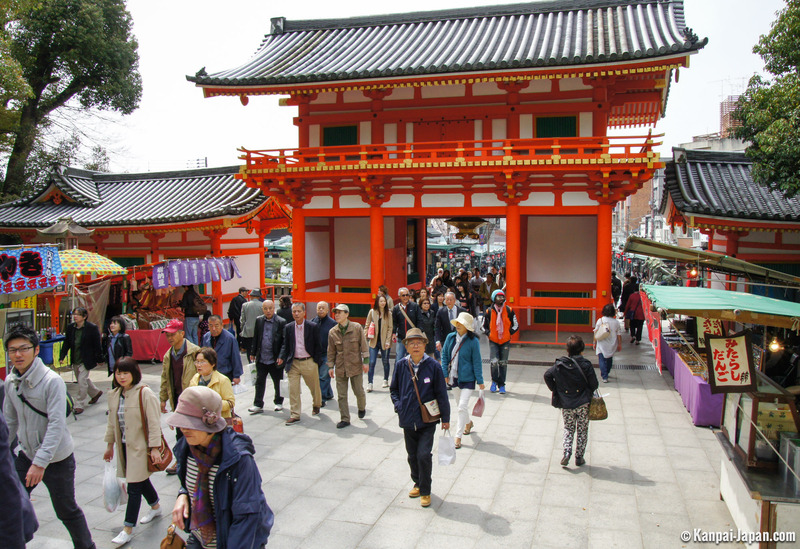 At the eastern end of Gion is the famous Yasaka-jinja shrine, of which we have already spoken here. 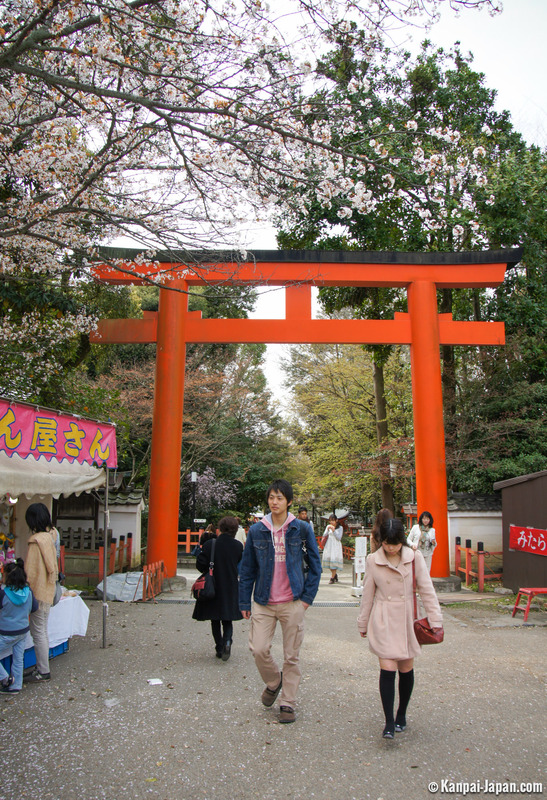 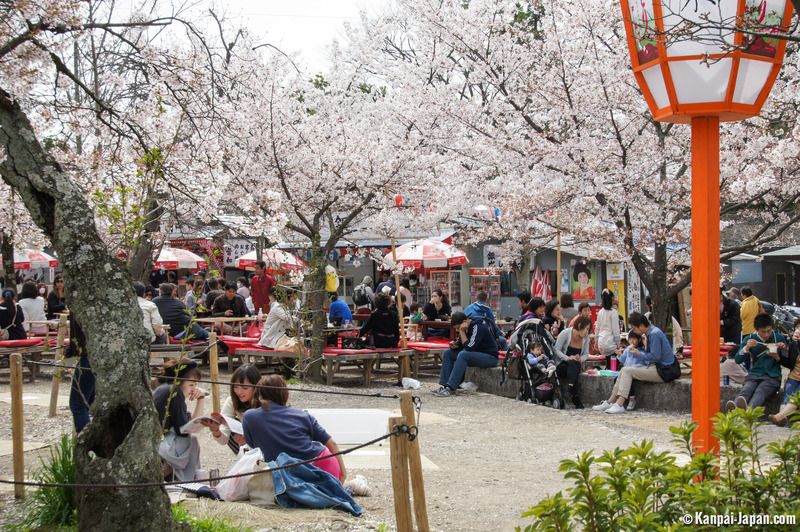 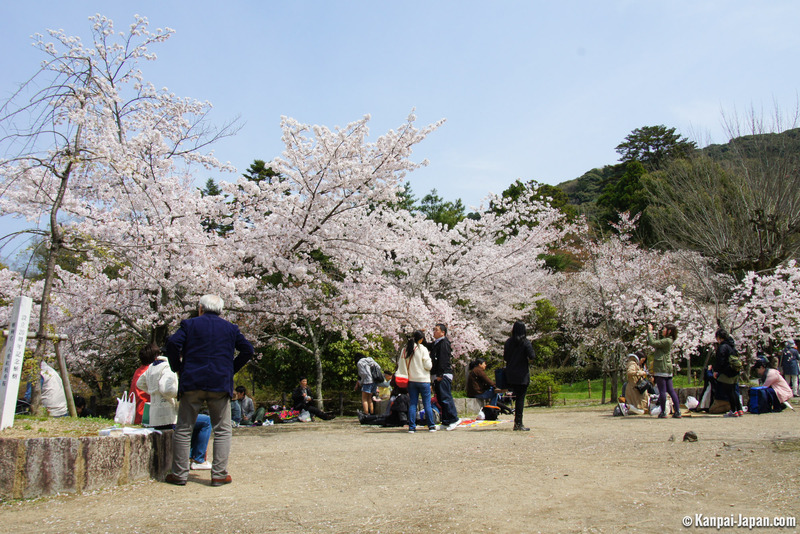 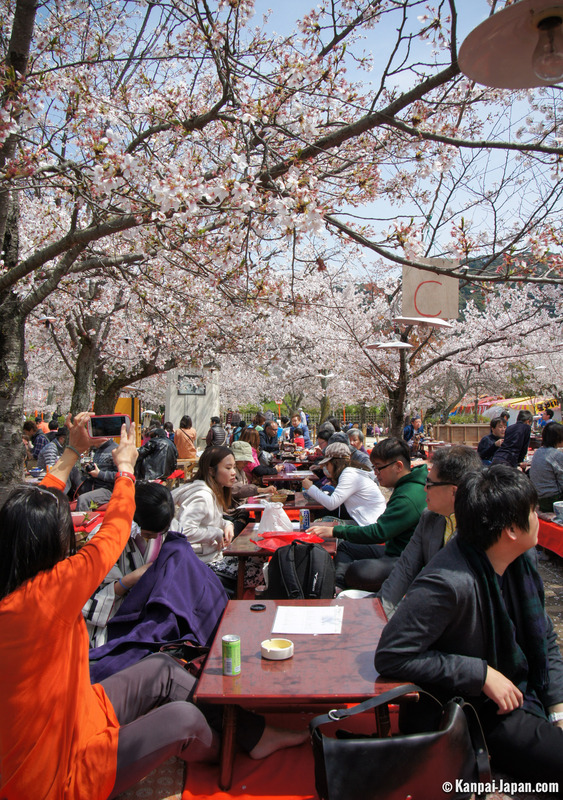 If the shrine is visited by a lot of people all year long, the beginning of April sees an amusing procession of many visitors simply passing through its walls to get to the adjoining park. 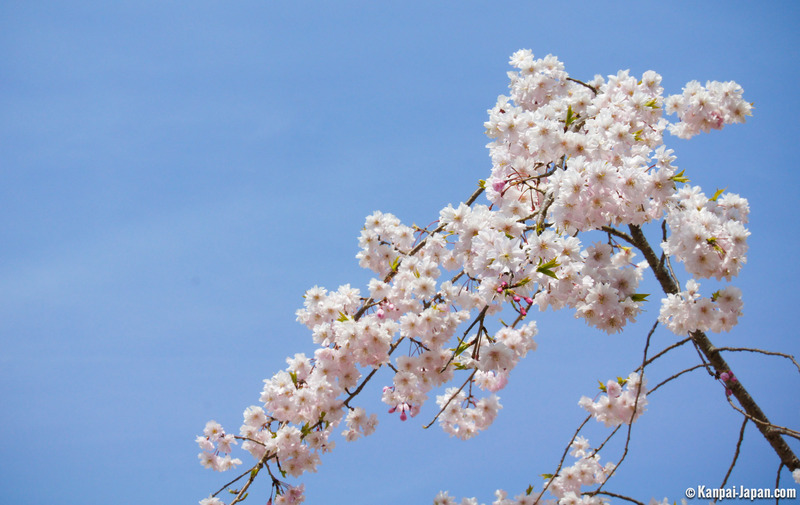 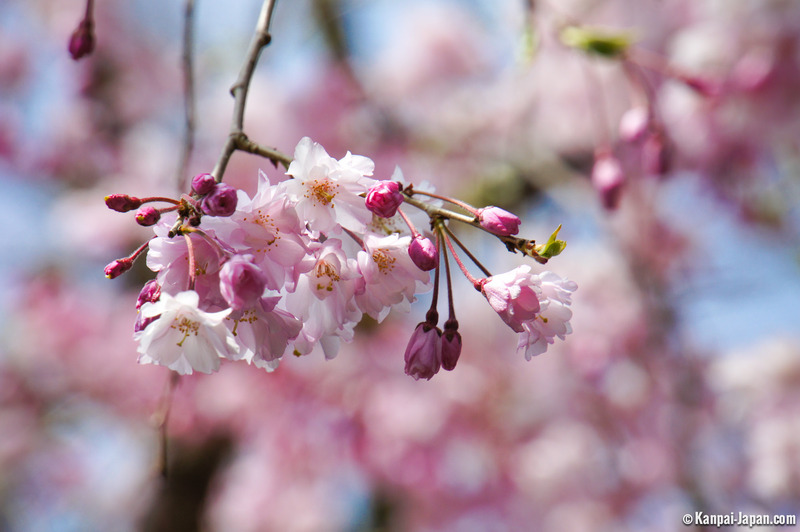 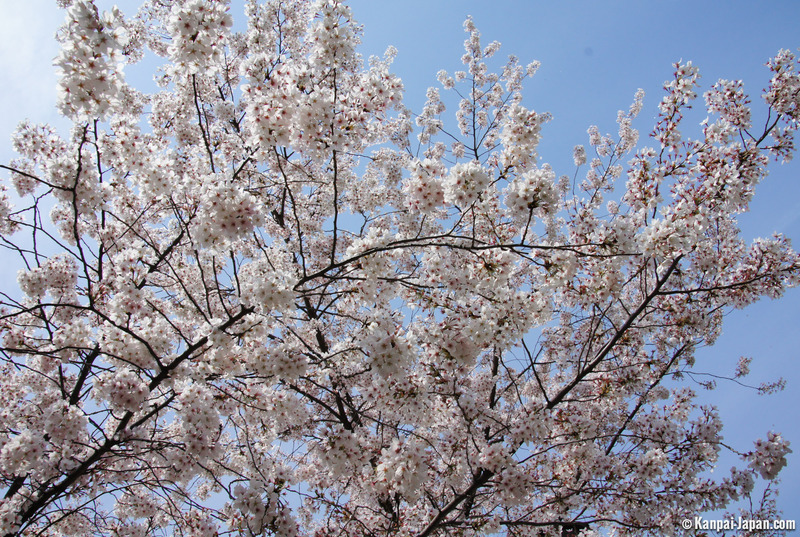 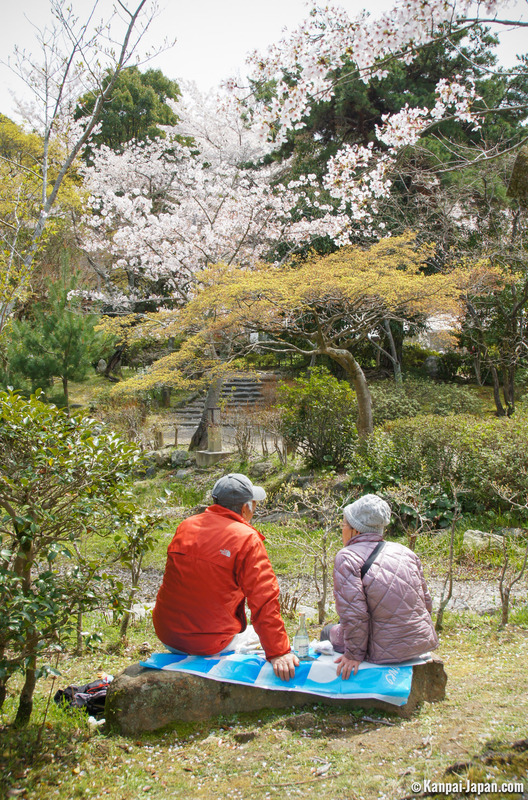 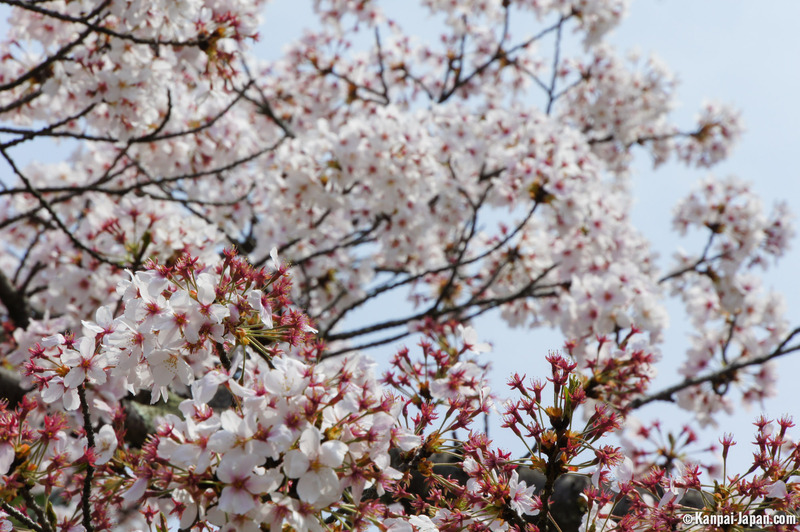 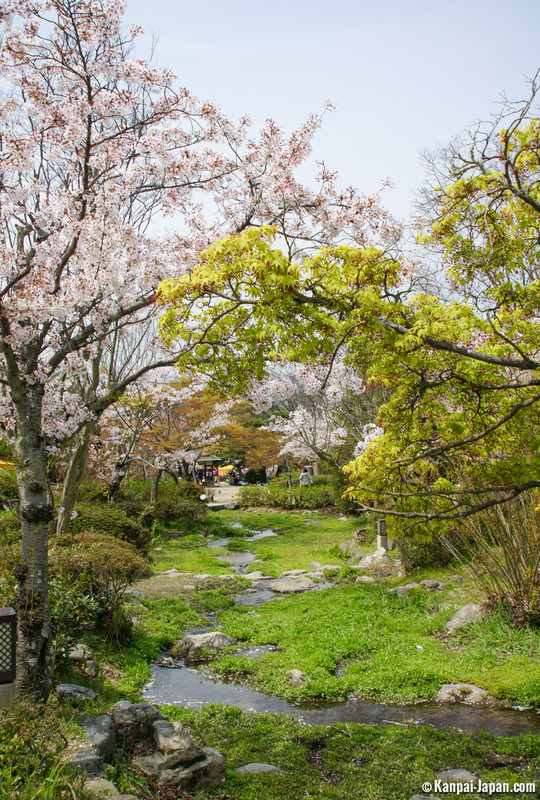 Because Maruyama is probably the most famous place of Kyoto, not only to admire cherry blossoms, but to do Ohanami: the contemplation of sakura. 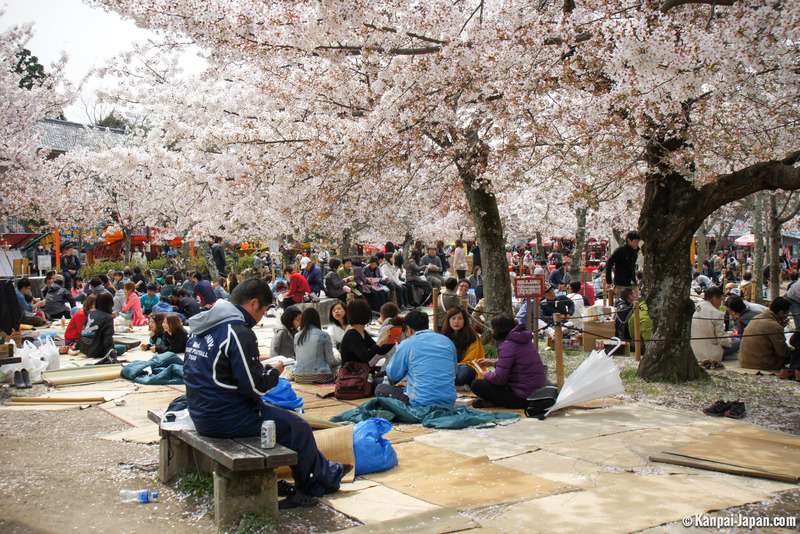 This public park does not spread over a huge area (86,000 square meters in total) but has different areas to rest, eat and drink. 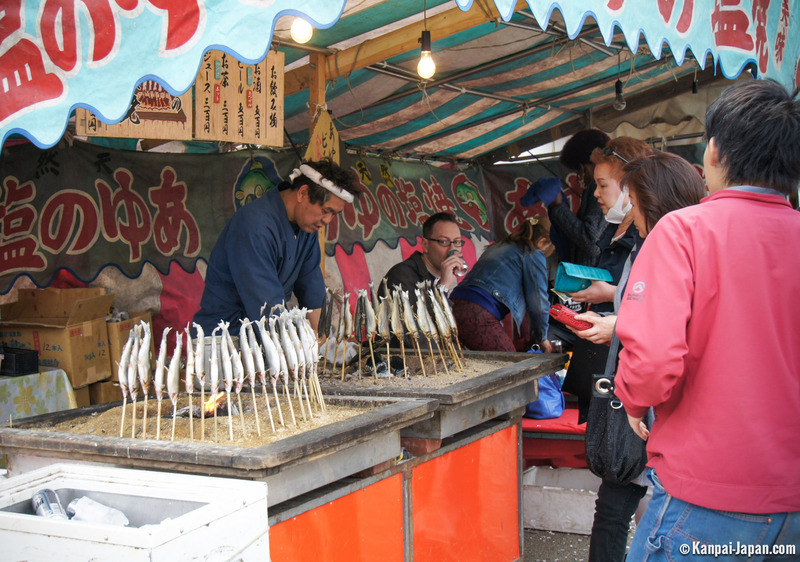 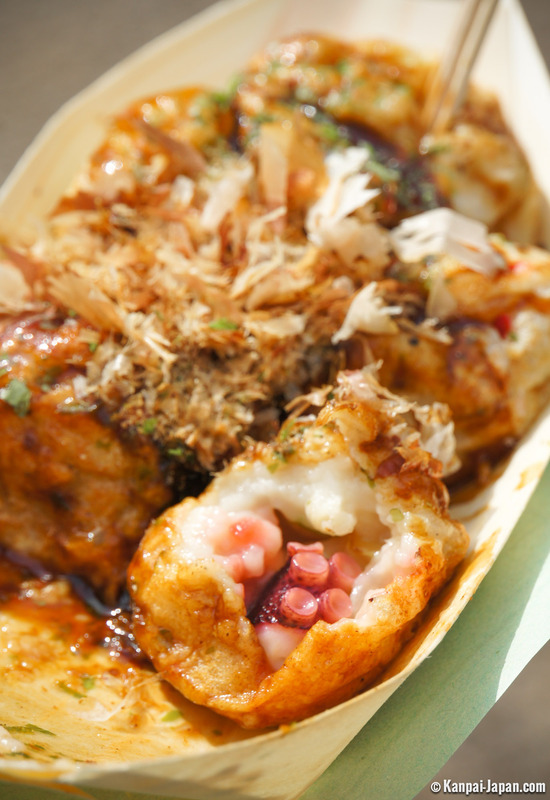 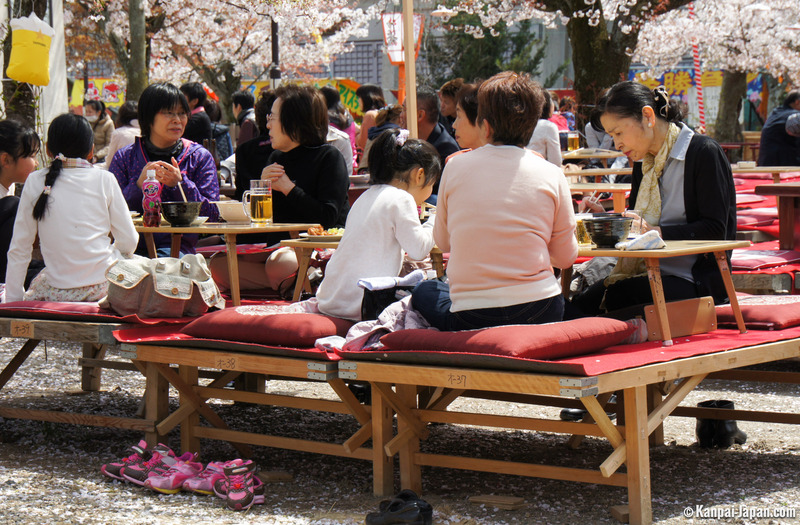 Around these gathering places are cleverly arranged food and beverage stalls, which sell beer or takoyaki (octopus balls). 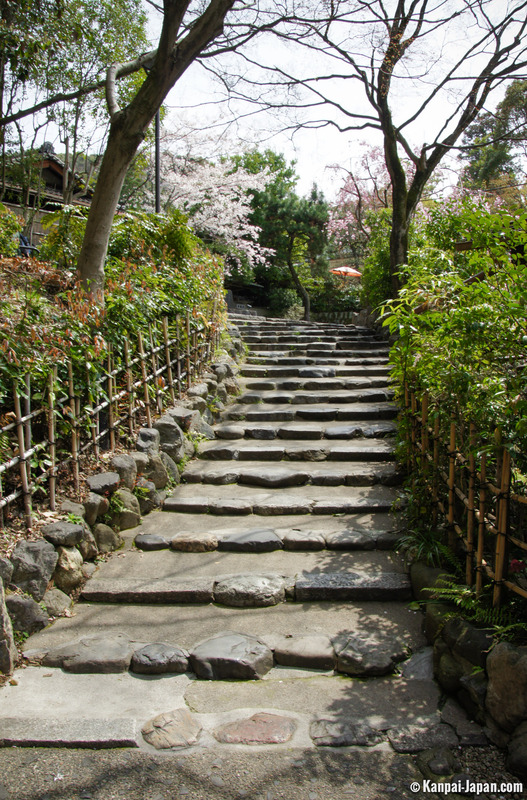 Maruyama, classified as cultural heritage of Japan, has been built as a multi-story staircase. 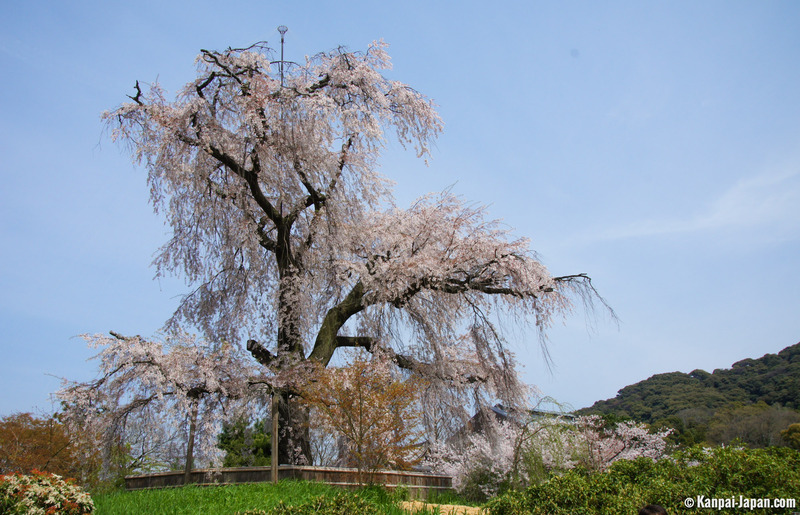 At the center of these lives a giant weeping cherry tree, accented with night lighting during full bloom. 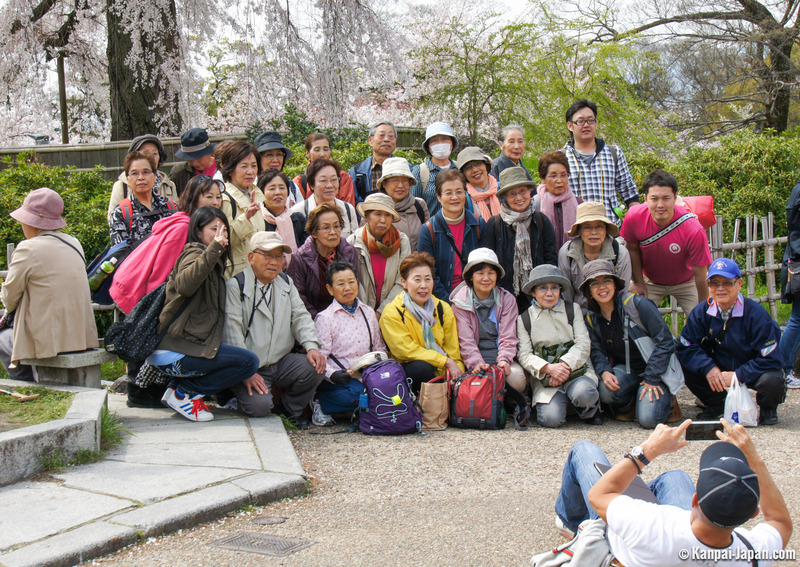 The walk can continue, for example, with the vast Chion-in temple, glued to the park at its northern flank.